As blue and enticing as the Caribbean Sea is for a family swim, there’s no denying the thrill of having a water park — or something close to it — right at your Cancun hotel. Don’t expect that just because your Cancun resort has a great pool, however, that there will be a dedicated splash area for kids. 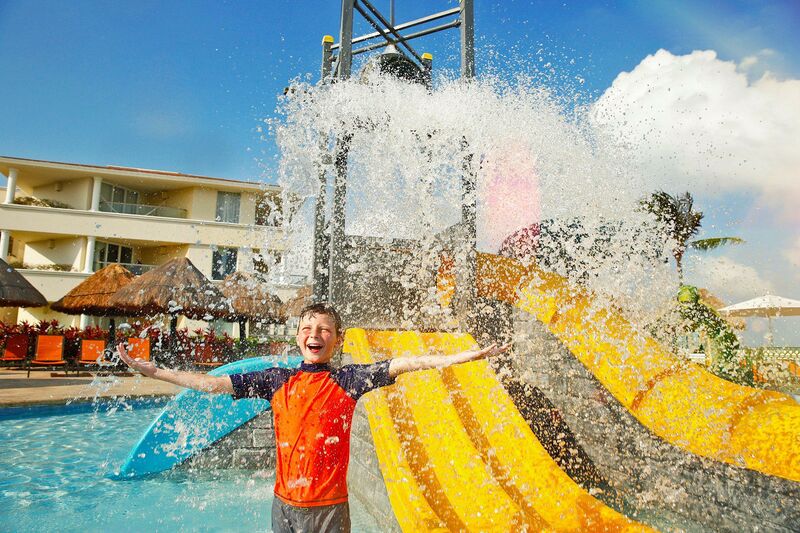 We’ve done the legwork to bring you Cancun’s best all inclusive family resorts with water parks, where you can splish and splash with the gang — all within a few steps of your hotel room or suite. 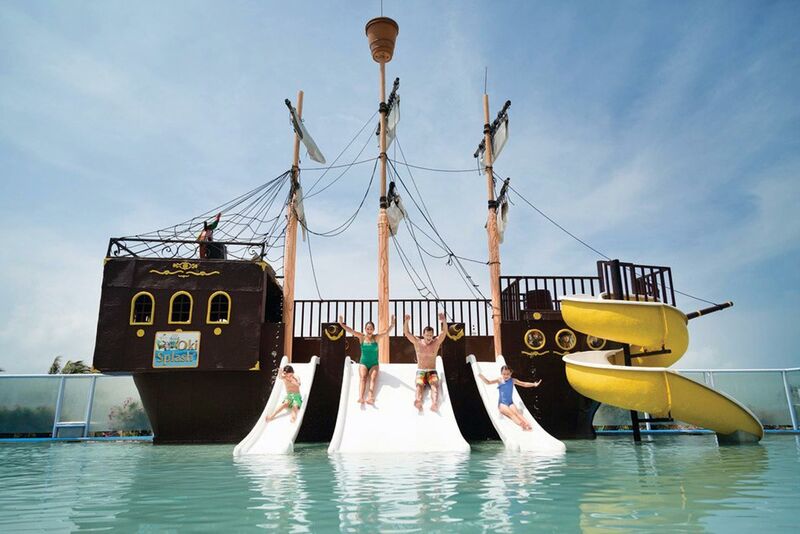 Leave it to Florida-based lifestyle brand Panama Jack to be behind this most entertaining Cancun all inclusive family resort with a water park. The former Playa Hotels and Resorts property (once a Grand Caribe Real) has been completely renovated and rebranded of late, and is among the world’s first Panama Jack Resorts. 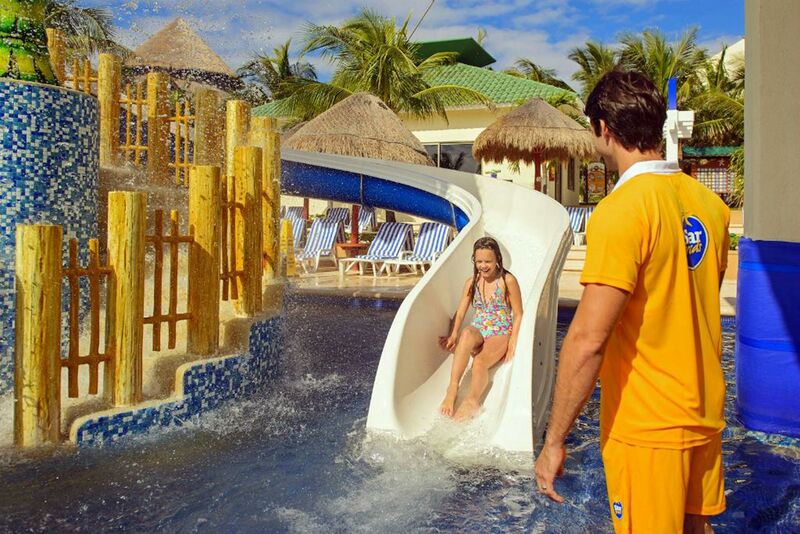 The 458-room Panama Jack Resorts Cancun breathes family fun at every turn. 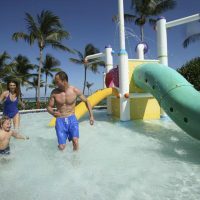 Families gravitate to the family pool and the two splash pools with fun waterslides in a pirate-themed water play area. Within easy reach of the airport and right on the beach, Moon Palace Cancun manages to be all things to most travelers, catering to families and couples as easily as wedding parties and groups of friends. 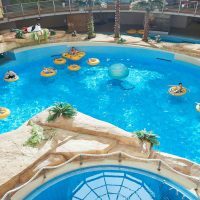 When it comes to onsite water park offerings, you can’t beat the property’s eight pools, among them a pirate-themed water park with twisting slides and all manner of water features. The highlight for many intrepid families is the onsite FlowRider Double Wave Simulator, where you can have fun trying to hang ten without wiping out. It’s all about the onsite water park at this Cancun beach resort, about 10 minutes north of Cancun’s main Hotel Zone. While the beach here is nothing to write home about (it’s little more than a sliver of sand), water park-loving families spend the bulk of their time at the property’s Tree House waterpark, with its four water slides and waterfalls lorded over by a giant dump bucket of water that rains down at regular intervals. Other onsite activities families appreciate include mini-golf, a game room, and Ping-Pong. Giant mushrooms raining down water and speedy slides are among the water-based antics at this amazing Cancun all inclusive family resort with a water park. 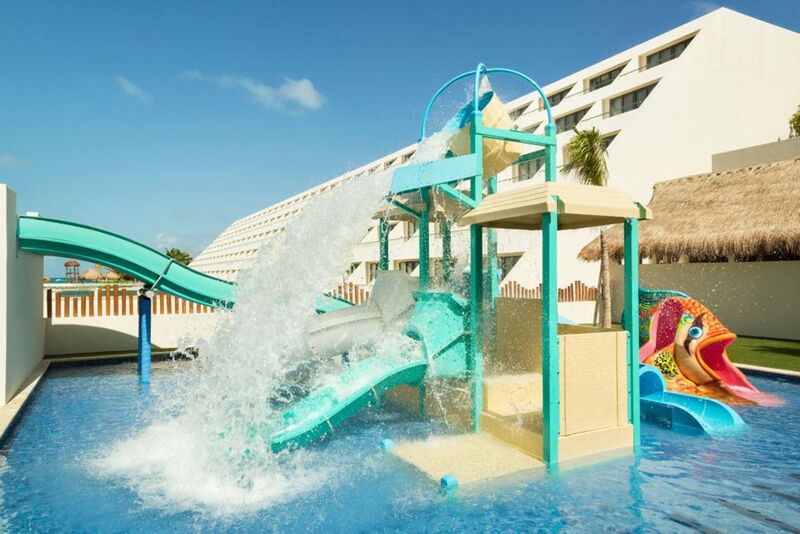 Gentle waterslides for your toddlers and twisting racing versions for your older kids are among the many waterslides designed to keep everyone equally thrilled at the Crown Paradise Club Cancun. And with five onsite pools at the hotel, nobody will blame you if you spend more time here than on the beautiful beach! 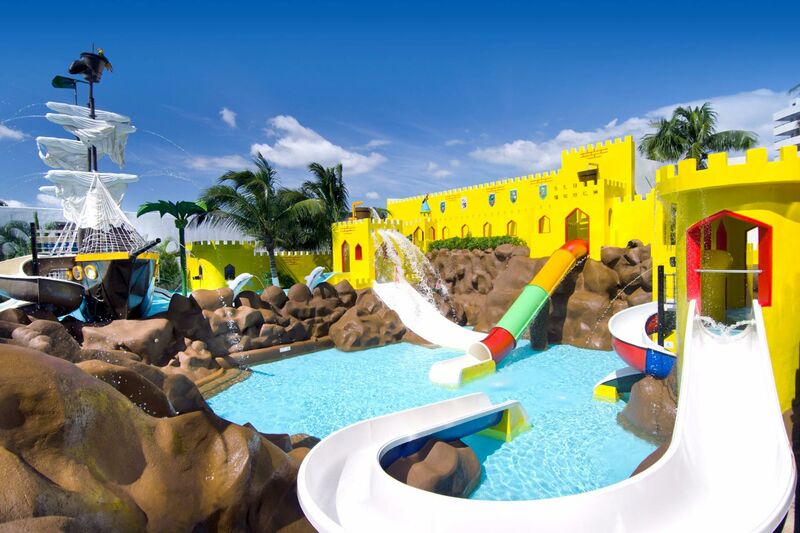 With seven onsite pools, including a water park just for kids, it’s easy to see why this IBEROSTAR property 15 minutes from Cancun is such a popular pick with families. 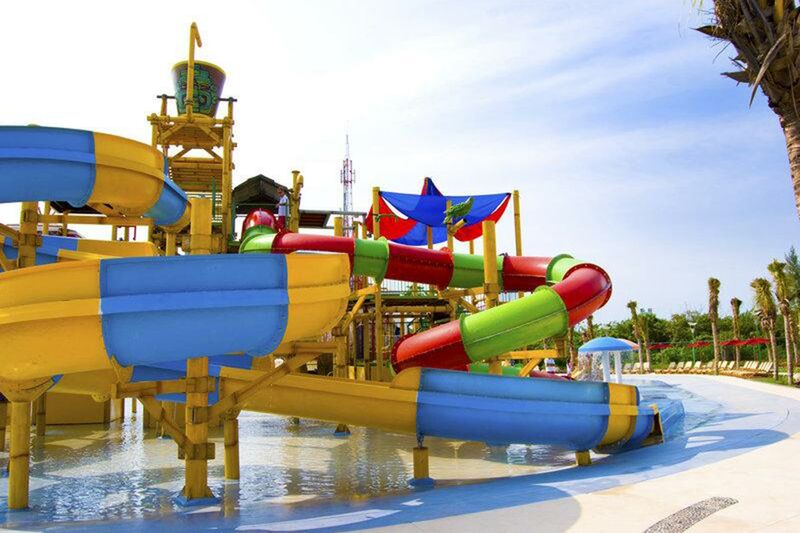 A towering palm tree water feature looms high above the dedicated kids’ water park, where a twisting slide and one that descends in a gentler swoop give your little ones options when it comes to the type of fun to be had. The IBEROSTAR Cancun‘s stretch of beach is an appealing one, too, with snorkeling, sea kayaking and sailing among the offerings. Said to resemble a cruise ship on land, the recently renovated and re-branded Seadust Cancun Family Resort has 505 rooms and seemingly endless family fun on tap. 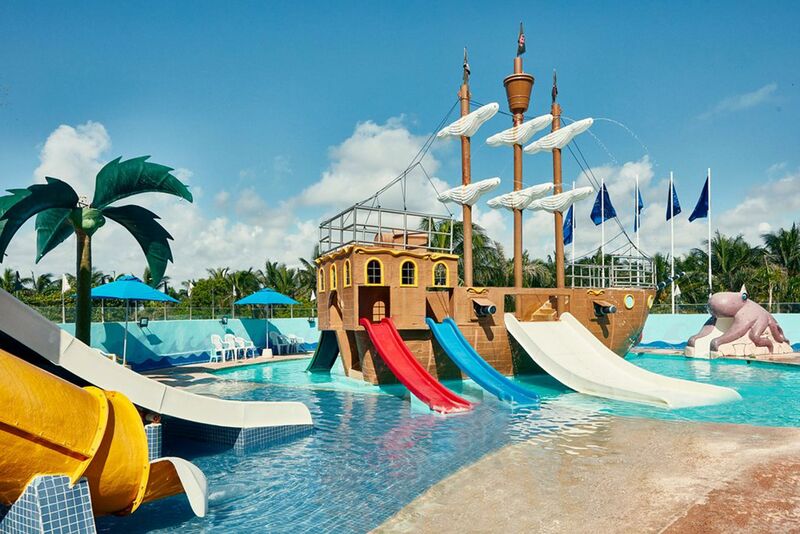 Two splash pad-style water parks for kids include one that’s castle-themed and lined with waterslides and another themed like a pirate ship, with waterslides swooping down from the decks. When you’re ready to dry off later, there’s poolside mini-golf for families to enjoy, as well as a rock wall and the hotel’s very own zipline. The 300 rooms at the all inclusive Royal Solaris Cancun have views of either the Caribbean Sea or the Nichupte Lagoon. But for kids, it’s all about the animal-themed mini water park onsite, where a herd of elephants, giraffes and hippos overlook the action on pint-sized waterslides that drop into a shallow pool. Other amenities families appreciate include the supervised kids’ club, nightly themed shows and poolside games of the G-rated variety. 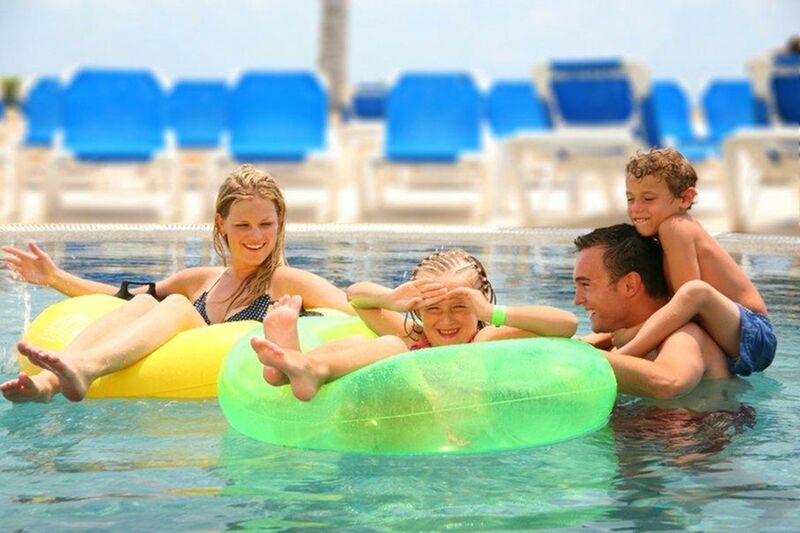 With a dedicated kids’ pool and play area just for the younger members of your family, this popular Cancun resort ticks all the boxes for a great all inclusive vacation in the popular Mexican resort town. The KidZ club at Hyatt Ziva Cancun, for ages 4 to 12, has several waterslides, a colorful fish sculpture and a shallow splash zone for playing. The resort’s additional three cascading infinity pools are available for fun family swim time, too, not to mention the beautiful Caribbean Sea, which is right at the property’s doorstep. 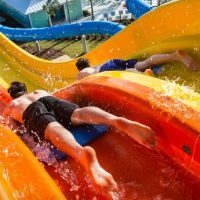 9 Best Outdoor Water Park Resorts in the U.S.